I flipped through this book, picking up poems magpie-style. I never intended to read the whole ridiculous 500-page tome (why do they publish these things?) 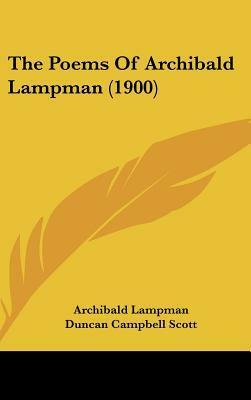 Lampman is a very pleasant poet, sharply observant of the natural world, but a bit treacly when it comes to the human one. What do poets want with gold, indeed? To buy bread and coal, I'd imagine. I skipped eagerly ahead to find the sonnets he wrote to the woman he loved--the woman he could never be with because his wife would not give him a divorce. They were very plainspoken, unemotional desriptions of her skin, hair, and figure. Accurate, I would imagine--but to what end? One of the greatest Canadian nature-poets.